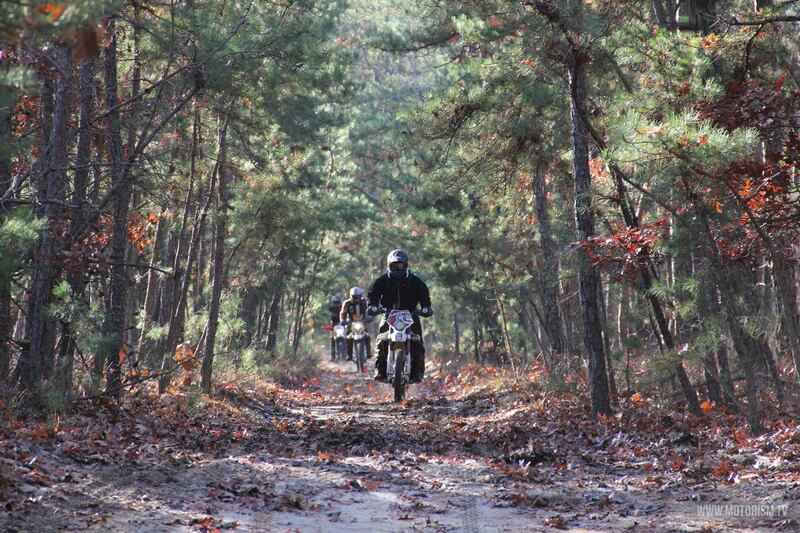 The Pine Barrens 300 and 500 Adventure Rides. 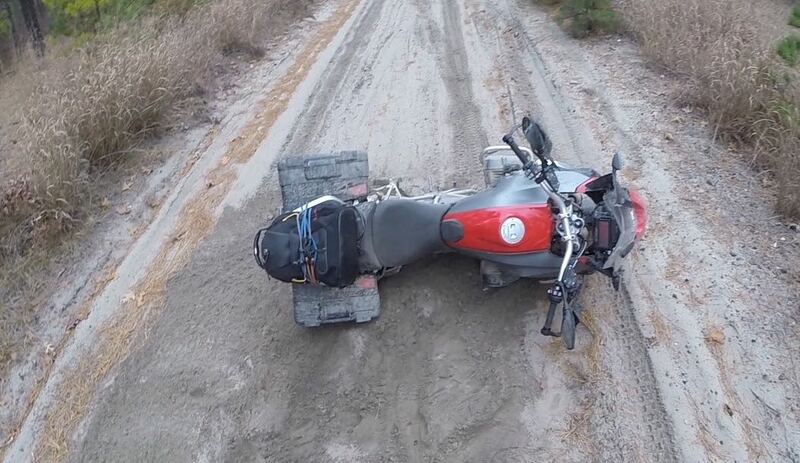 The PB300 and PB500, as they are also know, are GPS guided “Off-Road Adventure Tours” of the Pine Barren’s for street legal Adventure style motorcycles. 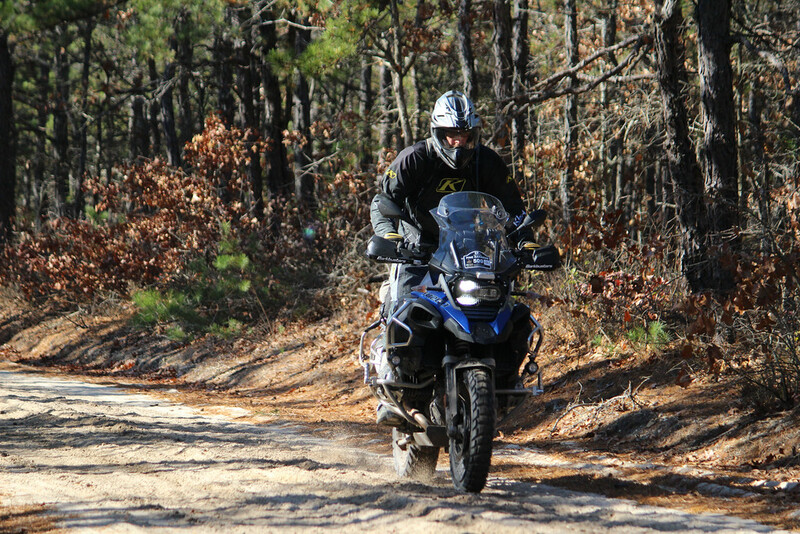 The Pine Barrens Adventure Camp organizes this event, and lays out the routes, which is again being sponsored by BMW of Manhattan Motorcycles and supported by the Ocean County Competition Riders.The “Route” consists mostly of Woods Roads and Jeep Trails, in and around the State Forests and Wildlife Management Area’s in the Pinelands National Reserve. 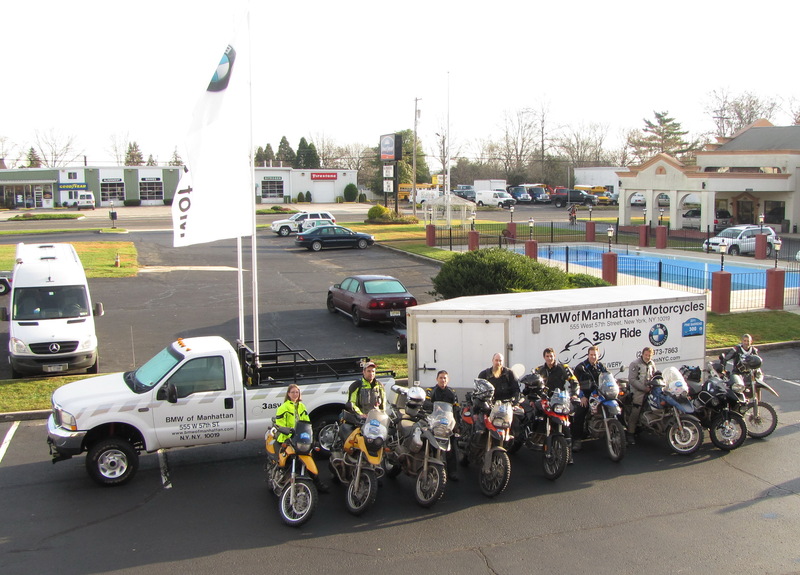 It is the one of the only events on the East Coast laid out just for the Big Bikes, BMW GS1200’s and KTM 950’s for example. No Trail Bikes or Two Strokes are allowed to enter. 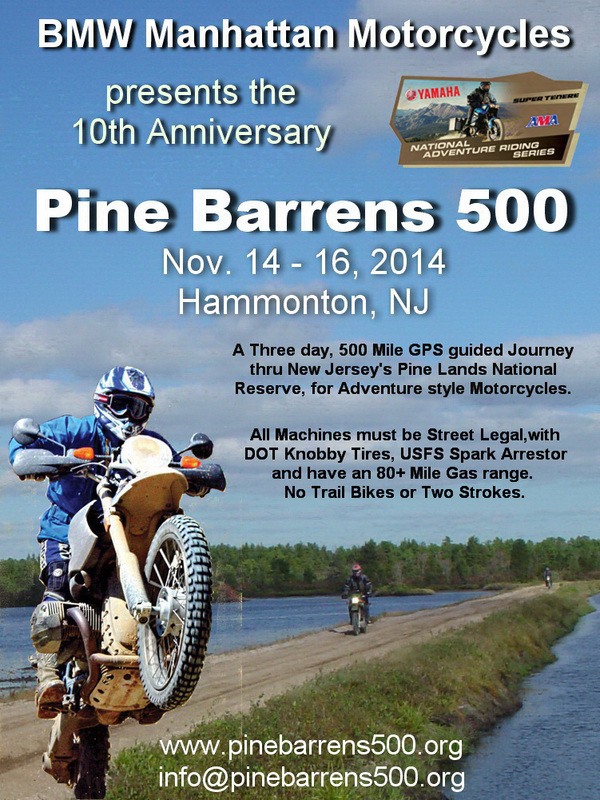 This years Pine Barrens 500 celebrated the Tenth Anniversary of the PB events. 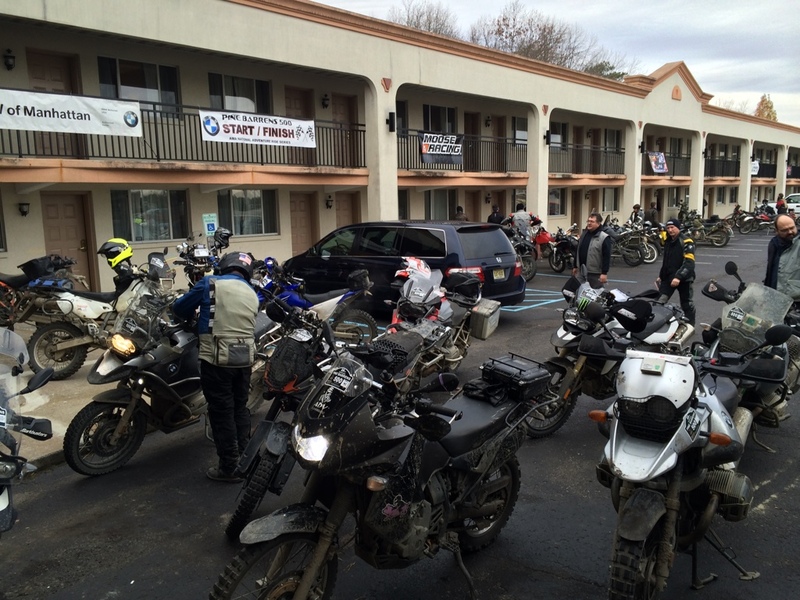 Over the years the event as become one of the premier east coast adventure rides, and it is on the American Motorcyclist Associations National Adventure Ride Series schedule again in 2015. 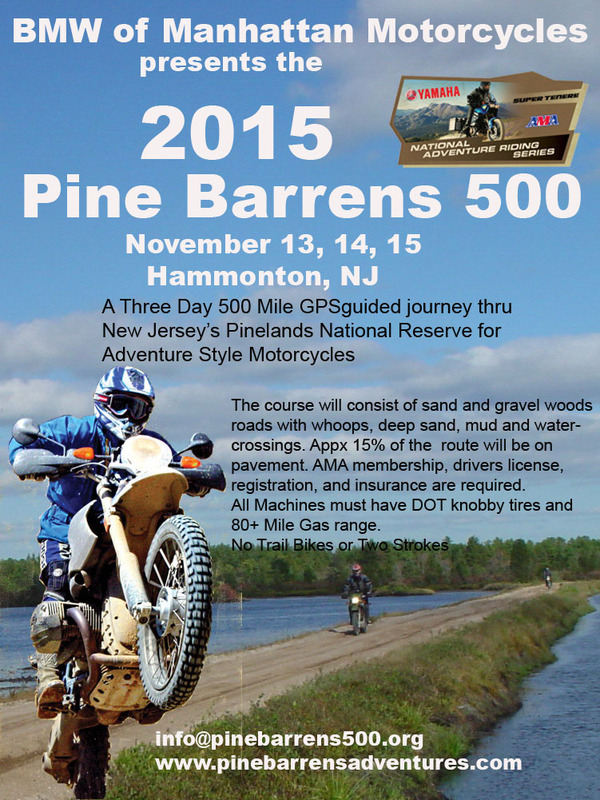 The PB300’s are Two day events, while the PB500’s are Three days. For the Tenth Anniversary, in 2014, we brought back the PB500. It’s a lot more work to organize the extra day, passing thru twice as many municipalities and forests, getting the permits is very time consuming. The PB events could not happen without the support of local enduro clubs and volunteers who help out by working the support stops and assisting riders. Support vehicles are placed along the route with tools, gas, air and first aid for emergencies. The PB300/500 routes are “Cloverleaf” or “Loops”, the Start, Finish and overnights are all be at the same location, the Hammonton Econolodge, on Rt 30. This makes the logistics more manageable for the riders and support crews. The hotel has plenty of parking for the trailers and has been very accommodating in the past. The riding school started after we noticed each year a few riders would show up for the ride, on new GS’s and other bikes, with no or very little off road experience, most of these riders soon realized they were over their heads or became exhausted and needed to be helped out of the forest. So one year we had a training session the day before the event, so new riders could see what they were up against, in a controlled condition. We could show them how to get through the toughest parts of the course, and give pointers on how to navigate the route. it worked, The riders who signed up for the training did well or chose not to enter, and come back another day. The PB300 and PB500 events are designed to be enjoyed by experienced riders, as the course will consist of woods roads with whoops, deep sand,and mud . Appx 10% to 15% of the route will be on pavement. 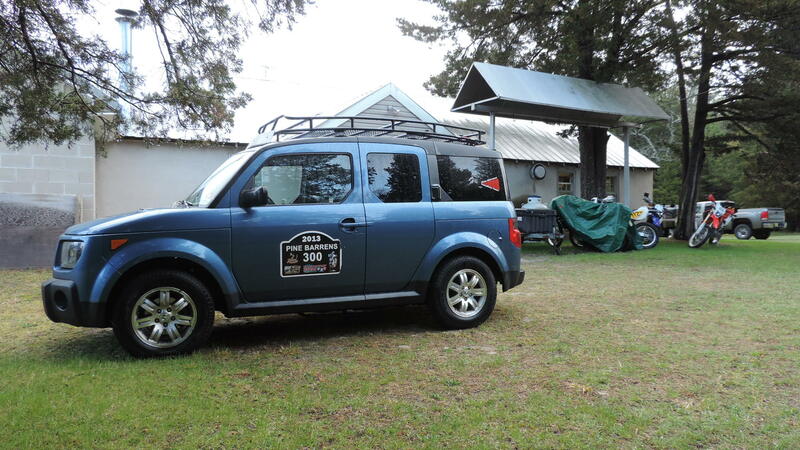 DOT Knobby Tires are required. . Gas stops and Lunch choices will be on the Route’s. You must be able to go at least 80 miles between gas stops. There are no Route Sheets or Arrows to follow, only the GPS Route to guide you. There will be a GPS school on Friday night, and a Dinner on Saturday. Riders without a GPS will ride with groups. 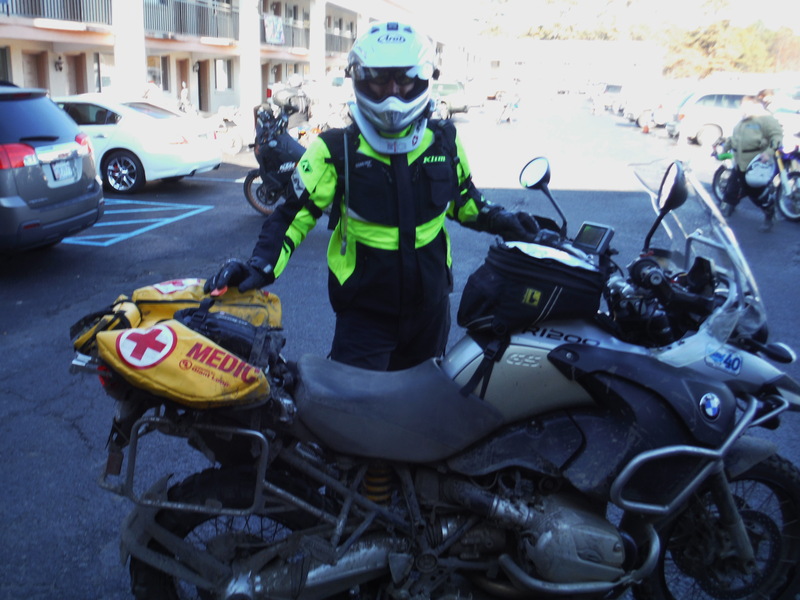 AMA membership, license, registration, insurance and inspection are required. The event will be limited to 125 entrants. A few club members and support riders may be on smaller machines.spection, to check that the machine is 100% street legal. A decal will be issued to those who pass this inspection. This sticker will allow you to access the State Parks and serve as permit to enter the event. It is not a “Dual Sport” event, which is typically a trail ride hosted and laid out by an enduro club, for enduro type riders and machines.